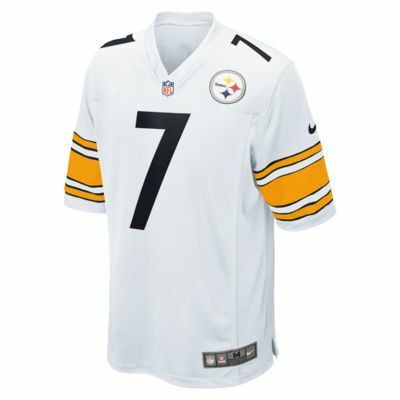 Rep your favorite team and player anytime in the NFL Pittsburgh Steelers Game Jersey, inspired by what they&apos;re wearing on the field and designed for total comfort. Bought this for my oldest son for Christmas! He loved it b/c James Conner is a beast and there aren't too many Steelers away jerseys out there. This was a gift purchase. On-line order. No issues and jersey was what I expected.